This is not your Grandmother’s vegetarian. 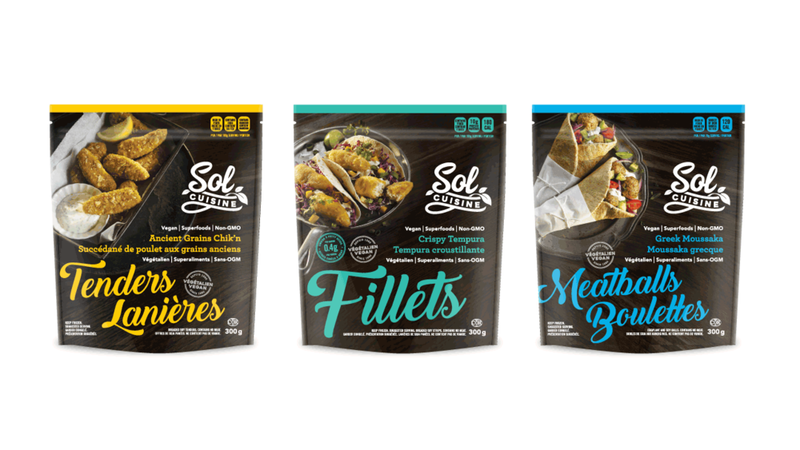 Sol Cuisine asked us to create a visual that could represent the tastiness of their product, and stand out from the shelves in the category. Breaking the traditional stereotype of vegan and vegetarian as “light and bright”, “hippy” and “rabbit food”, we created a truly dark & gourmet package design; one that could communicate the brand’s rich flavours in a modern, eye-catching design. Dark, sultry photos combined with bright hits of colour and careful photographic art direction resulted in a brand that even the most carnivorous of consumers couldn’t just walk past.